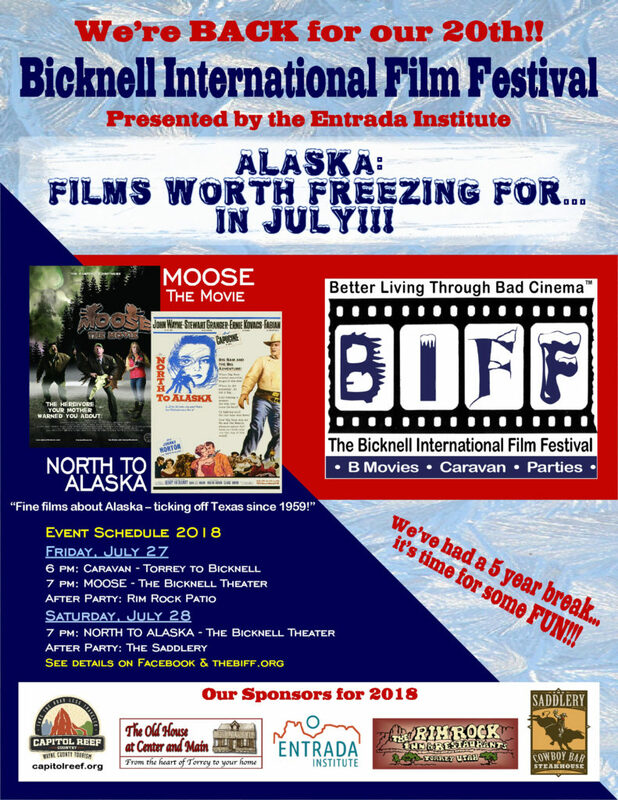 BIFF is Back July 27-28, 2018. BIFF is the Bicknell International Film Festival. Held each July, the festival includes the “best of B-movies” featuring the bad, bizarre, and just plan strange films centered on the festival theme. In the past, this fun event has focused on the themes of aliens, superheroes, and cowboys. In addition to the three films, the festival features a parade, parties, and lots of other activities including an independent film award. The Entrada Institute is one of the sponsors for this great event! Learn more at the BIFF website. Go to the BIFF 2013 page to see photos and videos from the 2013 event. Go to the BIFF 2012 page to see photos and videos from the 2012 event.